Updated: 4:55 p.m. | Posted: 1:41 p.m.
A confirmed case of measles case in Crow Wing County this week raised a warning flag for Minnesota health authorities: The circle of people exposed to the disease is widening and they may need to reach for stronger tools to stop it. To contain the spread, the state Health Department is asking people exposed to measles to voluntarily avoid contact with other people for 21 days. If that doesn't work, the state can get a court order to quarantine people within their homes, although officials stressed there are no cases currently where quarantine is being considered. 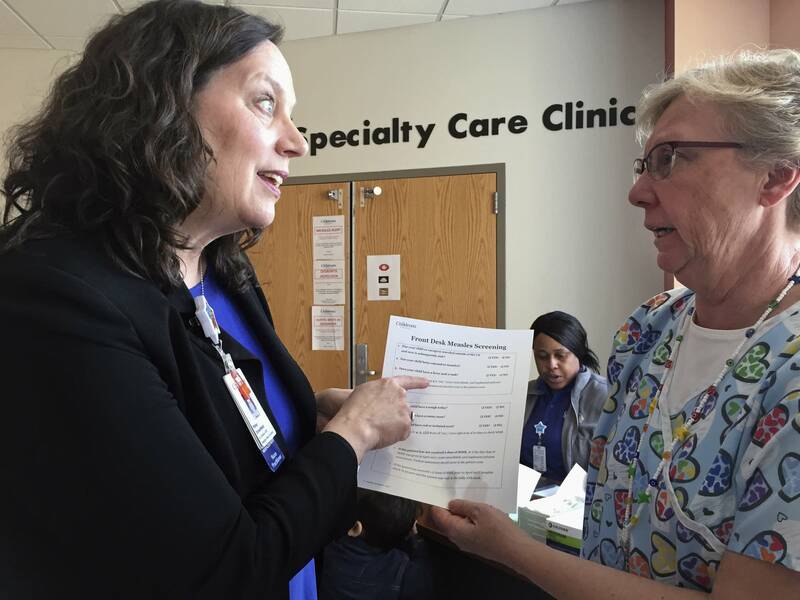 "To this point, everyone has been very respectful and accommodating," said Kris Ehresmann, the state's director of infectious disease control. "But the option that we have is to go to the isolation and quarantine. If we have to do it we will. It's not our first choice. I'll be very clear, it's not our first choice." The disease's appearance in Crow Wing County was particularly concerning, Ehresmann added, "because we do know that there's a potential for a fair amount of spread in that community." State data show 93 percent of kindergarten students in Crow Wing County got the measles vaccine last year. That's about the state average. But some individual schools have much lower rates. And in several counties around Crow Wing, measles vaccination rates have fallen below 90 percent in recent years. "We do see where this could be spreading to all these different communities where there are unvaccinated individuals," said Ehresmann. "And our concern is sort of collateral damage. In addition to the cases that will occur because they're unvaccinated, we're concerned about having enough measles activity in the community to result in cases that are happening in people who are immunocompromised and are in a weakened state." 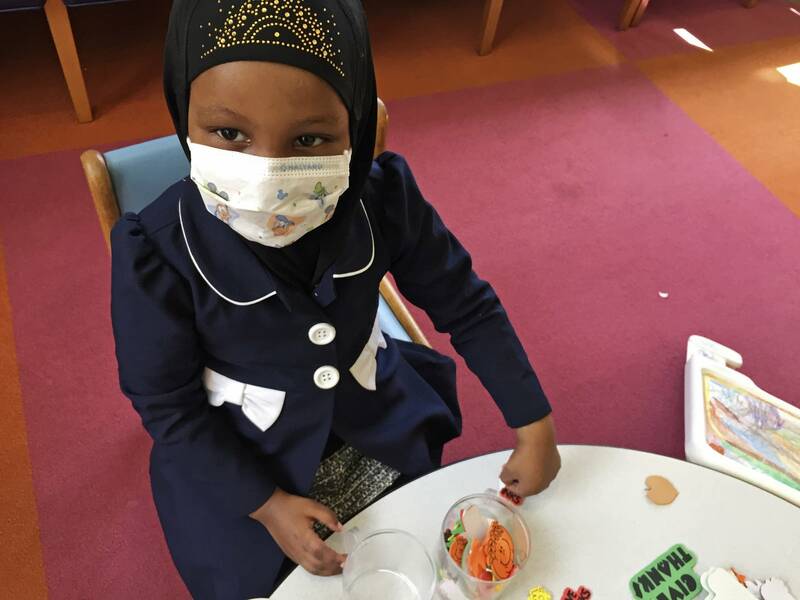 • April 20: Vaccine fears driving measles outbreak among Somalis in Hennepin Co. The worst outbreak in recent Minnesota history was in 1990 when there were 460 confirmed cases and three people died. There are now 44 confirmed measles cases in three Minnesota counties; Hennepin, Ramsey and Crow Wing. People have been exposed to measles in counties where no cases have yet been confirmed, Ehresmann added. Keeping people who are contagious away from day cares, schools and other gatherings is very important because measles spreads so easily. Ehresmann recalled the first outbreak she worked in 1991 during the International Special Olympics at the Metrodome. It resulted in 25 cases and it all started with an athlete from Argentina. "Just him standing there with measles, that virus was sucked into the air intake vents and deposited then in a section of the Metrodome and two people got measles from that," she said. "That just shows you how very infectious it is." As the number of people exposed to the virus grows, it becomes more challenging to contain. While there are 44 confirmed cases of measles, about 7,000 people have been exposed. Each person has to be located. If the exposure is recent, they are treated in an effort to prevent infection. It's an expensive and time-consuming effort, explained Ehresmann. The Minnesota Department of Health has spent $207,000, so far. Those costs don't include county level expenses. Hennepin County, the hardest hit in Minnesota, doesn't have cost information available. But it's clear the outbreak is straining county resources. 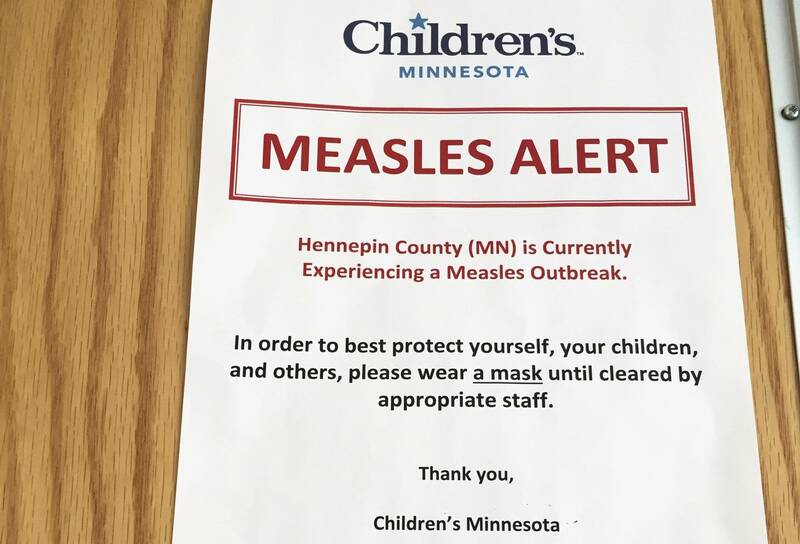 Besides the 70 state employees on measles duty, a Hennepin County official said more than 70 county workers, most on temporary reassignment, are investigating measles cases or working on community outreach. The growing outbreak has many parents concerned about protecting children under age one who are not yet vaccinated. Do they dare take their child to doctor appointments or other public places? Most cases are in children age 1 to 10, Ehresmann said. One adult health care worker is infected, there's been only one case so far in a child younger than 12 months. 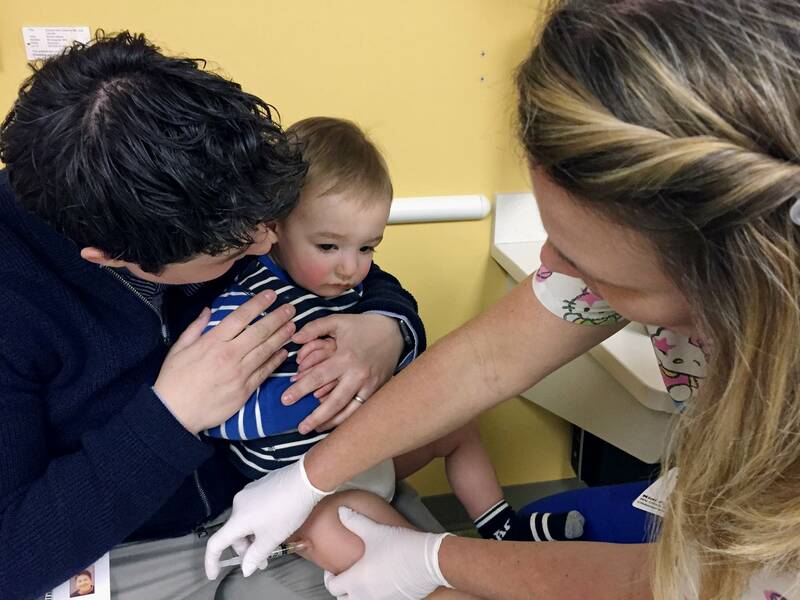 If the mother was vaccinated, the child should have protection from the virus, said Dr. Stacene Maroushek, a pediatric infectious disease specialist at Hennepin County Medical Center. "We have not gone to the recommendation of keep your child at home until the epidemic is over," she said. But that may change if the tally rises to "hundreds of kids, not the dozens we've had so far," said Maroushek. State officials hope the spread can be stopped before there are hundreds of cases.